At the recently held IFA Berlin - the world's leading trade show for consumer electronics and home appliances - Hisense introduced three brand new smartphones, six state-of-the-art washing machines, three ground-breaking TVs and 15 revolutionary refrigerators. Amongst the phones unveiled at the event was the new Hisense A6, which comes equipped with two screens - one in the front and one in the back. The front screen features a bright and colourful 6.01 inch FHD+ AMOLED display, while the one on the back has a 5.61 inch HD+ e-ink display with eye-care front light – ideal for reading e-books and performing tasks that do not need a colour display, like energy efficient internet browsing. The phone also combines a 12MP rear camera with a 16MP front camera for serious selfie fun. Elegantly designed with 3D glass on the back and curved on four sides for a comfortable grip, the Hisense Infinity H12 Pro has an 84 inch X-Infinity Display and a Full HD+ resolution of 1080 x 2280. It is also decked out with a dual camera, offering 12MP and 5MP rear cameras as well as a 20MP front camera with multiple shooting modes including night, indoor, snow, smiling face and panorama modes. For security, the phone can be unlocked using fingerprint identification and Face Unlock. With a 6.19 inch HD+ X-Infinity Display, for maximum comfort while watching series or playing games on the go, the Hisense Infinity H12 is also the ideal phone for amateur photographers thanks to its dual camera with a 12MP Big Pixel and a secondary 5MP sensor. Other features include 4GB RAM and 32GB ROM which can be extended with MicroSD cards with a capacity of up to 128GB. Hisense showcased its new washer-dryer, a triple-washer with three drums for different colours and fabric types, along with the EH series which has an energy efficiency rating of A+++ -20%. The technology used in each to make life that much better was also highlighted. These innovations include the Wash&Dry Short Program for washing and drying in just one hour; the Stop and Reload function, which interrupts the cycle and allows the door to be opened; Intelligent Dosing to ensure that the right amount of detergent and fabric softener is added; and the Power Jet Wash which injects detergent and water into the drum to penetrate deeply into the fabric and dissolve dirt particles. Visitors to IFA Berlin got to witness the future of television with Hisense’s new 75 inch U9D TV. Its 4K Quantum Dot Display, which is divided into over 5,000 local dimming zones, combined with premium backlighting (Prime Array Backlight), produces exquisite images with very deep black and bright white for an exceptional viewing experience. The U9D also has a contrast ratio of 150,000:1 and a luminance of 2,500 nits to deliver brilliant and colourful images with high-contrast that almost seem real. Equally as impressive is the U8A which, with its Elite Backlight technology, delivers brilliant contrast values and images in a wide colour spectrum. The frameless and super slim TV also features a 4K-Quantum Dot-Display with a 120 Hz refresh rate. Hisense introduced three of its new 4K Laser-TV models at IFA Berlin which give customers a home cinema experience thanks to their massive screens that range from 80 to 100 inches. These connect wirelessly to a console that receives, processes and displays broadcast signals via an integrated TV tuner and delivers streaming content thanks to its Smart TV platform. These TVs can be used in all lighting conditions and offer an image brightness of up to 3,000 lumens. All of the TVs feature a smart VIDAA U user interface that can be easily personalised - giving viewers extra fast access to their preferred TV station or films from their favourite streaming service. It also comes with a remote control for easy use. multi-door refrigerator, offers three individual areas for cooling and freezing food. It also features the My Fresh Choice compartment - a special drawer with a separate air flow system and temperature setting that can be adjusted to suit different foods for a longer shelf life. These refrigerators are available in silver or black stainless-steel. Also introduced was the RS738 with its unique T-Door design. It offers three independent cooling areas which can each be opened with a different door. The right side of the 178.6 cm high and 91cm wide fridge-freezer is a cooling area, the left is a large freezing zone and the My Fresh Choice area is on the bottom. This cooling device is equipped with Nano-technology which minimises odours and ensures that chilled goods remain fresher for even longer by removing negatively charged ion particles from the air in the refrigerator. With its built-in ice cube and crushed ice dispenser, the new RS694 fridge-freezer can be installed anywhere in your kitchen since it has an integrated water tank. Plus, it has a built-in bar compartment, that is accessible from the outside via a separate flap, giving appliance owners quick and easy access to cool drinks without having to open the fridge completely which also helps save electricity. One of the refrigerators showcased by Hisense at the event was the RB438 which has a class A+++ -20% energy efficiency ranking since it consumes up to 57% less electricity than other fridges. It also features dual-tech cooling technology to ensure the ideal humidity and temperature conditions in both the cooling and freezing sections. At the same time, odours are prevented from passing from one area to the other. What’s more, temperature-sensitive foods such as meat and fish can be stored hygienically and for longer periods in the 0° C Cooling-Plus compartment. 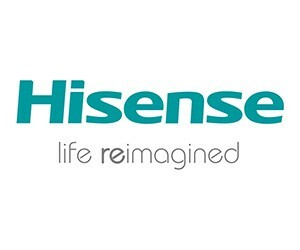 “Retailers, buyers and experts from the industry along with members of the media who attended IFA Berlin were all awe-struck by the appliances we revealed and the technologies we are developing to make the lives of our customers better,” says Serena Lee, Deputy Marketing Executive at Hisense South Africa.